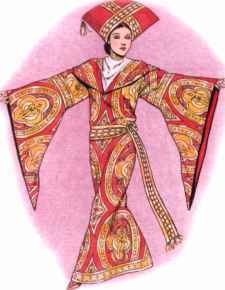 Royal Costumes enhanced by a richly embroidered front panel and a train hanging from the back and carried across the arm in front. 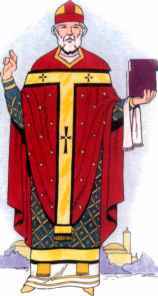 The gown shown here has dalmatic sleeves and is worn over a shirt. Both the man's and the woman's gowns are made of dark silks enhanced with bright gold and multicolored embroidery. Admiral and Secretary the-knee tunica with fitted sleeves, embroidered at the hem and on the arms. 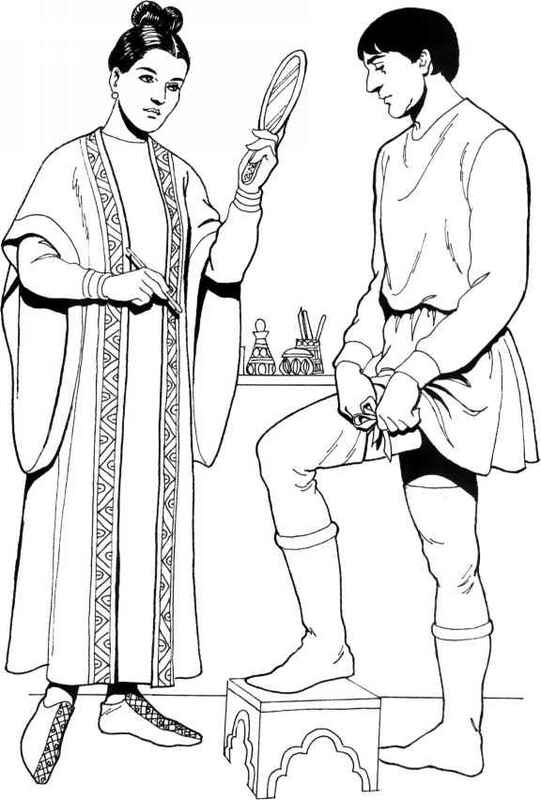 He wears a short, dark cloak and dyed tall leather sandals with dark hose. 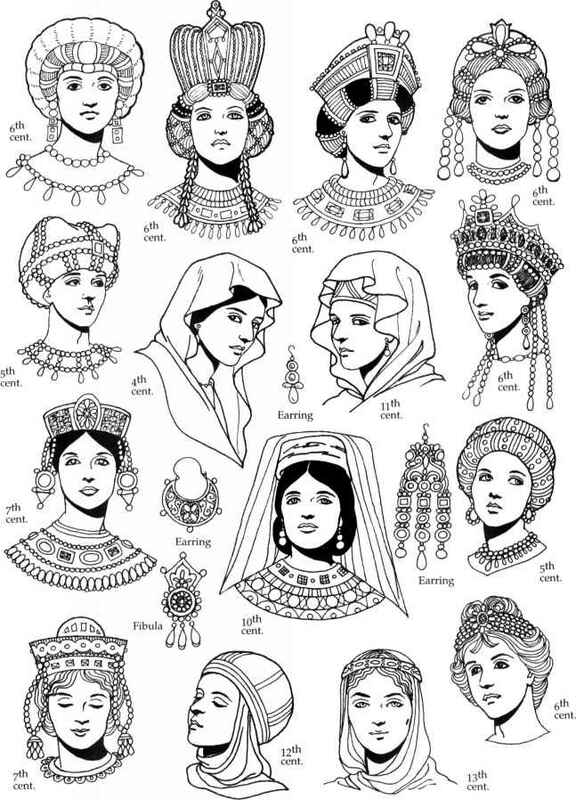 Women's hairstyles, coifs, crowns, and jewelry worn during the Byzantine era. 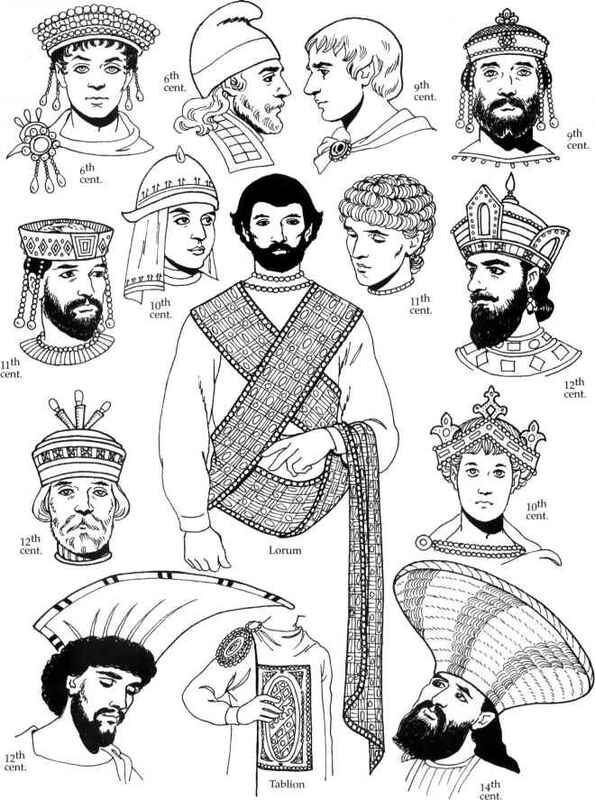 Men's hairstyles, hats, and decorative apparel worn during the Byzantine era. Various shoe and boot styles worn by both men and women during the Byzantine era. 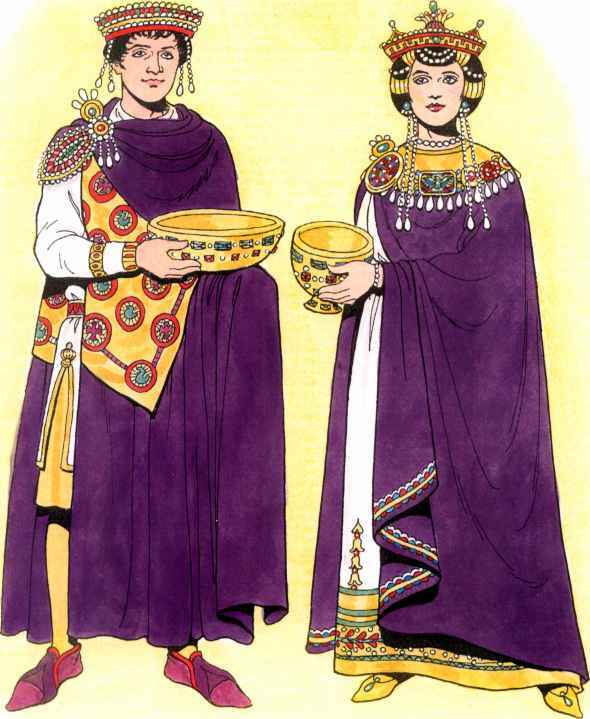 Emperor Justinian and Empress Theodora, page 23.